Since February 2014, Guglielmo is a Ph.D. student at the division of fluid dynamics, within the research group of vehicle aerodynamic laboratory. His research project concerns the external aerodynamic of vehicles, and aims to reduce drag and fuel consumption of trucks by means of the Active Flow Control (AFC) technique. Unsteady Computational Fluid Dynamics (CFD) simulations such as, Large Eddy Simulations (LES), and hybrid Partially Averaged Navier Stokes (PANS) method are used in the project. 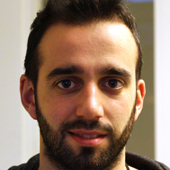 There might be more projects where Guglielmo Minelli participates, but you have to be logged in as a Chalmers employee to see them.